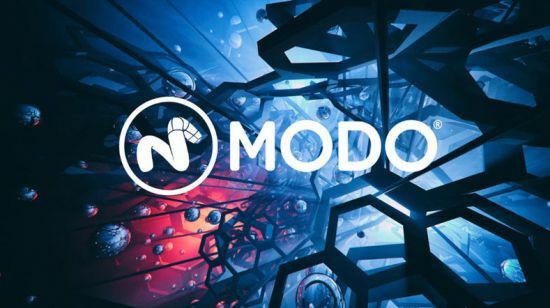 AMD's GPU accelerated path-tracer, the Radeon� ProRender, is now part of Modo's collection of powerful rendering options and the beginning of increased rendering flexibility and improved APIs in Modo. In its first iteration for Modo 13.0, this hardware-agnostic, offline rendering solution gives artists the option of leveraging hardware that was once limited to real-time viewports. AMD's powerful denoising technology has also been added in 13.0. This provides users with additional options to reduce render times by accessing one of two options available: Bilateral and Median. Much like the Radeon� ProRender, AMD's denoiser is not vendor-specific and further expands the rendering options available to all users on Windows and OSX. Modo's direct modeling toolset remains the most intuitive experience for 3D artists with new features including Relax Edge and Find Shortest Path Selection to enhance and accelerate creation workflows. The world's leading riggers and character artists use Modo for games, film, and TV. Using their feedback and driving Modo in production environments, we've been able to engineer solutions that target animation workflows. Modo's 12 Series included huge advancements to the schematic viewport, providing a cleaner and easier-to-manage artistic experience with features such as Notes to enhance collaborative pipelines. Modo 13 adds non-destructive editing of specific actions through the new Animation Layers feature, where each layer can be controlled to override or apply additively in a top-down format. Modo is unique in how it enables users to create customized workflows tailored to the needs of an artist or project. Arrays are a new addition to Modo's rigging system that allows for advanced storage, manipulation, and output of data in a variety of forms, further enabling what technical artists can engineer in Modo. Arrays help you construct complex relationships that can be leveraged across Modo's many systems including, rigging, procedural modeling, particles, and more to create the specific tools and behaviors you need to realize your creative vision, whether it's a custom modeling tool or an advanced motion graphics system.